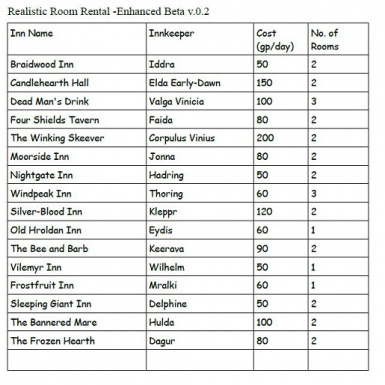 Overhaul the inns, taverns and room rental system. 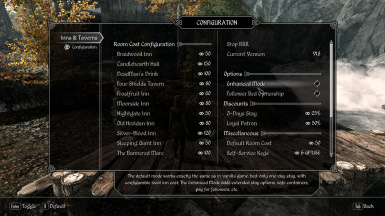 Ever wonder why in Skyrim all hotel rooms cost the same? For 10gp you can't even buy a cheese wedge, but you can get a luxury suite in the Winking Skeever. This simply makes no sense. To make room rental system more realistic, I have assigned local prices to all inns. This minimum version uses a little script to track the room cost, it doesn't touch any vanilla npc, quest or cells, so is compatible with everything. Happy lodging! The deleted navmesh in Moorside Inn is already fixed, just load the esp in Tes5edit and see for yourself. BOSS will still say “Warning: This file contains 1 deleted NavMesh record...”, because the warning is attached to the esp file name, please ignore the warning until we can get this cleared. This mod requires SKSE and SkyUI for the MCM menu to function. 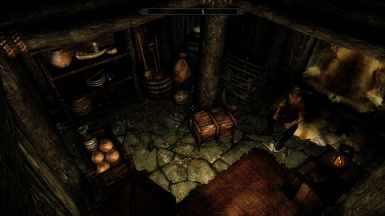 The Enhanced version is NOT compatible with any other mods that also modify the interiors of vanilla inns. Patches for Interesting NPCs and ELFX are included. This mod is compatible with the no-inn version of ETaC. This version is a total rebuild. Behold, per v1.8 this mod no longer edits the RentRoomScript.pex script, vanilla DialogueGeneric quest or any innkeepers, so is fully compatible with any other mods that modify RentRoomScript or innkeeper npcs. Then the bad news D: due to the complete change in mod structure, upgrading from v1.5 is not supported. Sorry about it. 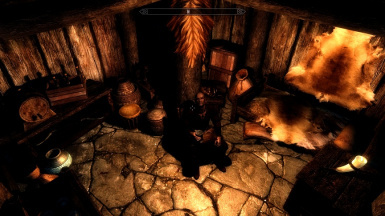 This mod is best used with a new game (install this mod before you start the game, loading a save from Helgen is not a new game), to ensure all the beds and persistent furnitures stay in correct position. Installing/Removing this mod mid-game will most likely leave some stubborn furnitures stuck in weird places. If a particular inn is totally messed up, that's mod conflict. note: the Nightgate inn looks a bit different in v1.8.3. The default mode works exactly the same as in vanilla game, bed-only one-day stay, with configurable local inn cost; The optional “enhanced mode” adds extended stay option, safe-storage containers, pay for followers, etc.. The enhanced mode contains silent dialogues, and requires Fuz Ro D-oh to function properly. If silent dialogues are not acceptable in your game, simply let the mod run in default mode. #1 I'd like to rent a room. This is the vanilla dialogue option, it works exactly the same as in vanilla game, bed-only one-day stay, with configurable local inn cost. #2 I need a place to stay. This option will give you 3 choices, one night, 3 days, or extended stay, with safe storage containers. #3 Do you have rooms available? This option is #2 + follower beds. Use this option when you have followers with you, the innkeeper will try to count how many friends you have and charge you accordingly. -added bathtubs to many inns, some will only become available after you pay for the room. -added dialogue option to pay for followers, and extra beds/bedrolls to all inns so followers can sleep too. If you use follower overhaul such as EFF or UFO and tell them to relax, they will use the beds. These extra beds for followers are owned by “PotentialFollowerFaction” without paying, so even if you don't pay their tab, they will still take care of themselves. After you pay for the beds, the bed ownership can be set to either “CurrentFollowerFaction” or None (everyone can use), the reason for this setup is because some unique followers (e.g. Vilja) will not use beds owned by vanilla follower faction. -While Delphine is in charge, you can only rent the room for a day (I'd rather not to mess with her, even our poor little Aldy fears her) in Riverwood's Sleeping Giant, 3 days and long term options will only become available after Orgnar fully takes over the inn at some point. -Hrol has a permanent post in Vilemyr inn, he will trade with you between 11am and 9pm. -Kalthar has a humble setup in Moorside inn to supply the locals, he will trade with you between 7am and 7pm. 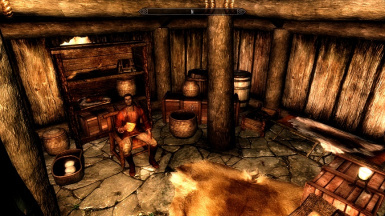 -Gepard has setup a little shop inside Frostfruit inn to resupply travellers and adventurers alike. Also, his cousin Gerard delivers supplies to Old Hroldan every couple of days, if you catch him there, he will trade with you as well.